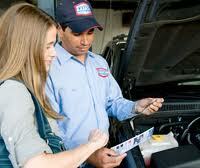 From transmissions to tune-ups and for everything in between, people who know go to AAMCO. That's because for nearly 50 years AAMCO has built a legacy of trust and expertise. Our locally owned and independent service centers employ the latest technology and the expert technicians who will diagnose your repair, fix it right the first time, and back it with a nationwide warranty. That's why AAMCO has become the most trusted name in transmissions and is one of the fastest growing names in total car care.